Today me and my awesome bento pals are having one of our fantastic hops again! This time it’s a great festive edition!! Whether you celebrate Christmas or not you’ll get lots of festive joy if you check out all of our lunches!! • A cucumber Christmas tree with beetroot “Xmas” decorations. Now check out What’s for lunch at our house and all of the other awesome lunches by clicking the adorable button below!! 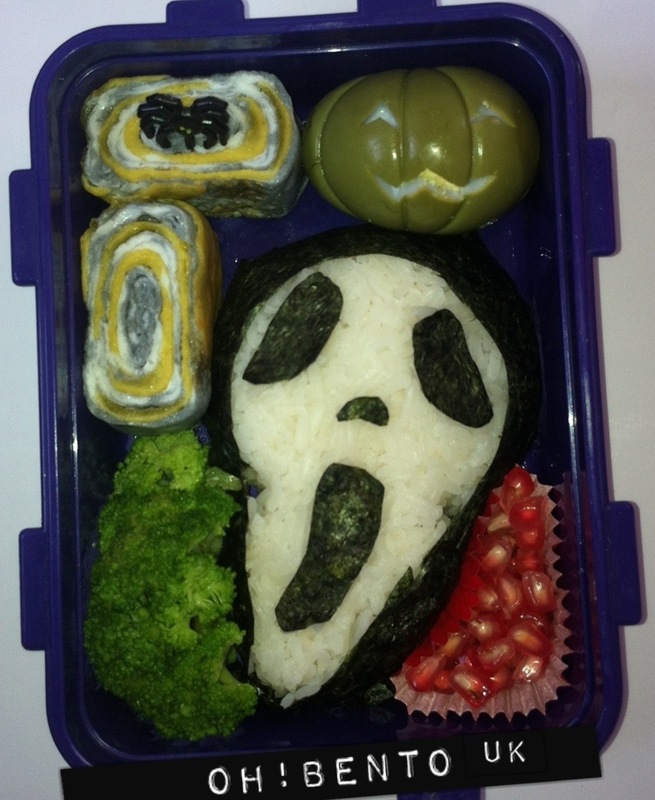 I can’t believe I haven’t made a halloween bento yet!!! 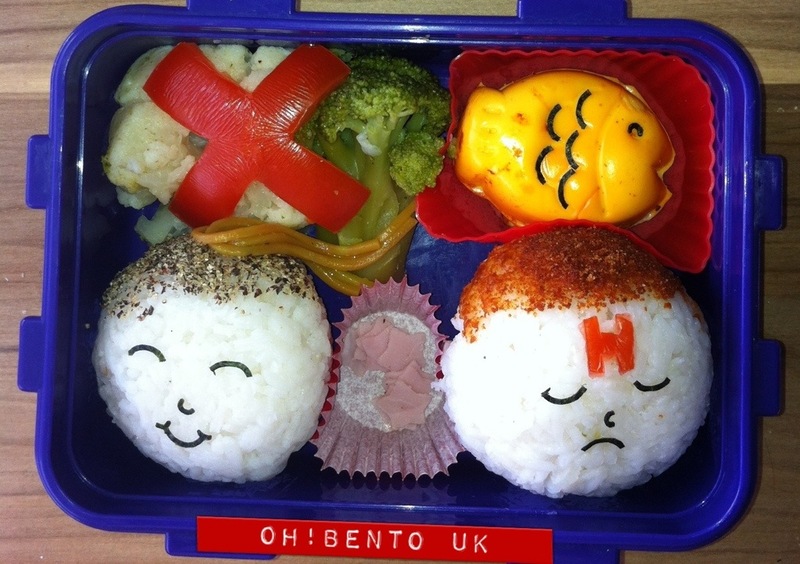 But if there is one time I can’t resist making a bento for, it’s a BBF hop!! 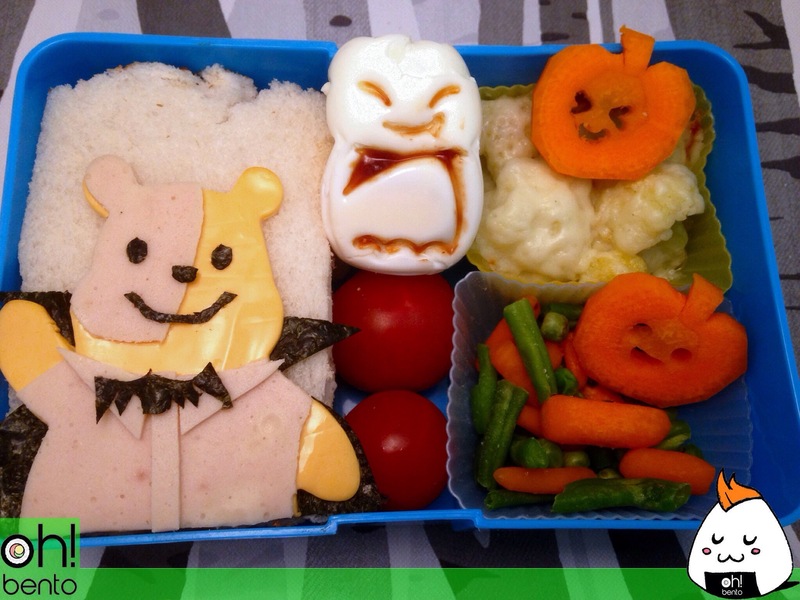 Winnie is made out of sliced cheese, chicken roll and nori. He is laid on two small chicken roll sandwiches. Next to him are baby tomatoes and a bat shaped egg thanks to the CuteZCute Palz. Next to those is a cauliflower cheese “spooky white forest” and some mixed vegetables being guarded by some spooky carrot pumpkins! Lunch Fit For A Kid and don’t forget to keep clicking the buttons on each blog until you get back here! Or else! You’ve only gone and found yourself the best booty there is! Today is Talk like a pirate day. 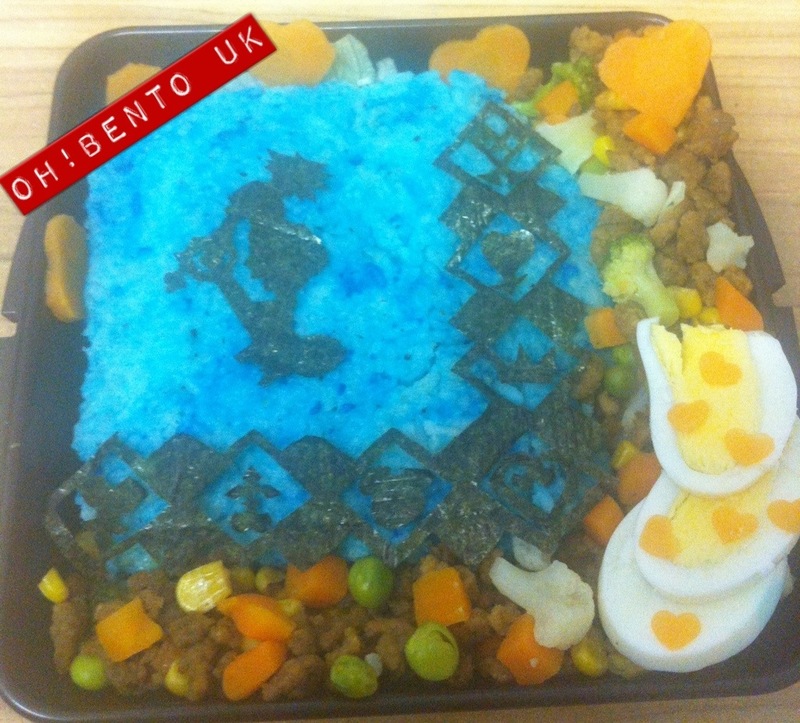 Me and me fellow bento shipmates have made a pirate themed bento hop for all you land lubbers to enjoy! 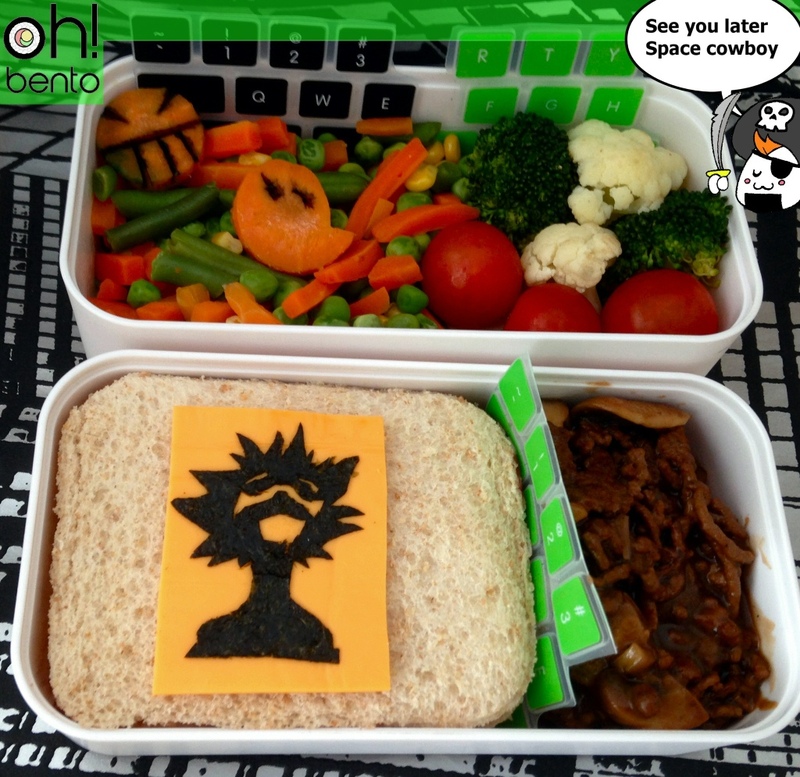 I decided to turn my ship in a different direction, my bento is based on my favourite space pirate, Edward Wong Hau Pepelu Tivrusky IV from Cowboy Bebop. A show about space pirates and space cowboys! • A peanut butter and jelly/jam sandwich. • A cheese and nori Radical Edward silhouette. • Minced beef and non-hallucinogenic mushrooms. It also contains my DIY keyboard baran because every genius hacker needs her keyboard. 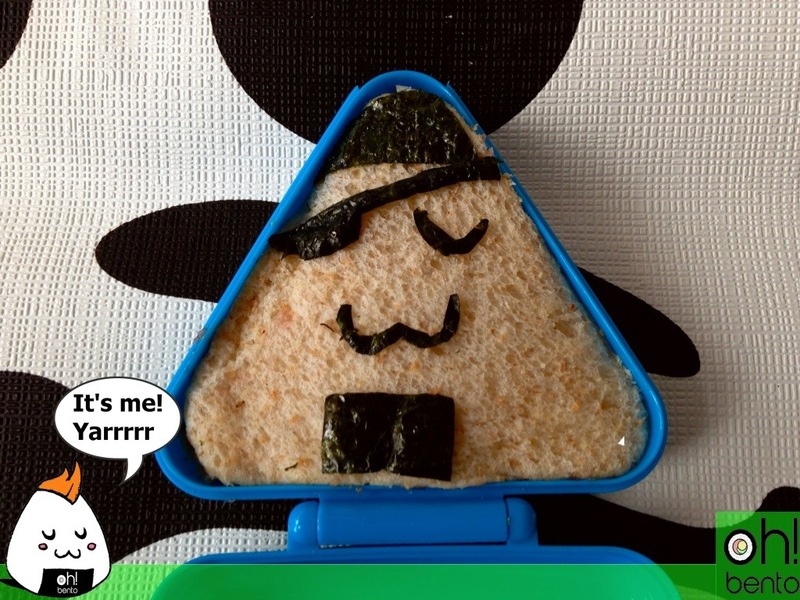 He’s a peanut butter and jelly/jam sandwich with nori details. Avast! Tis the end of my post so turn that ship around and head over to Keitha’s Chaos by clicking the button below before I make ye walk the plank! If you set sail from me and you’ve come back full circle why not jump ship and see what another set of sea dogs have made! Click here to stowaway on their ship! It’s impossible astronaut day and to celebrate the epicness that is Doctor Who the awesome ladies ( and me ) in the Edible Geekery group thought we’d celebrate the best way we know how… BENTO HOP!!!! Don’t forget to check them all out for a huge dose of DW foody fun!! 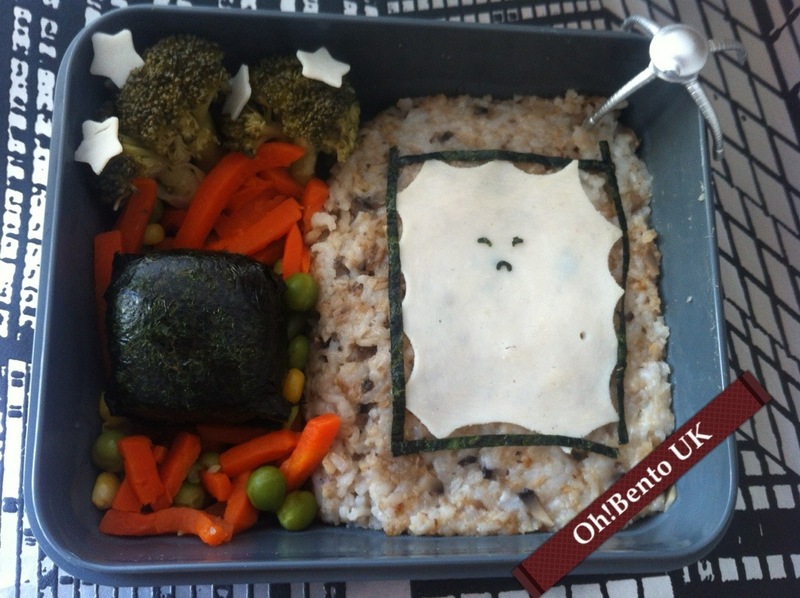 It contains a sliced chicken “Cassandra” with nori details on a bed of mushroom rice, nori and cubed egg “Little Black Cube”, mixed veg, broccoli with sliced chicken stars. It’s that time of year again, when the ghouls and ghosts come out to play! 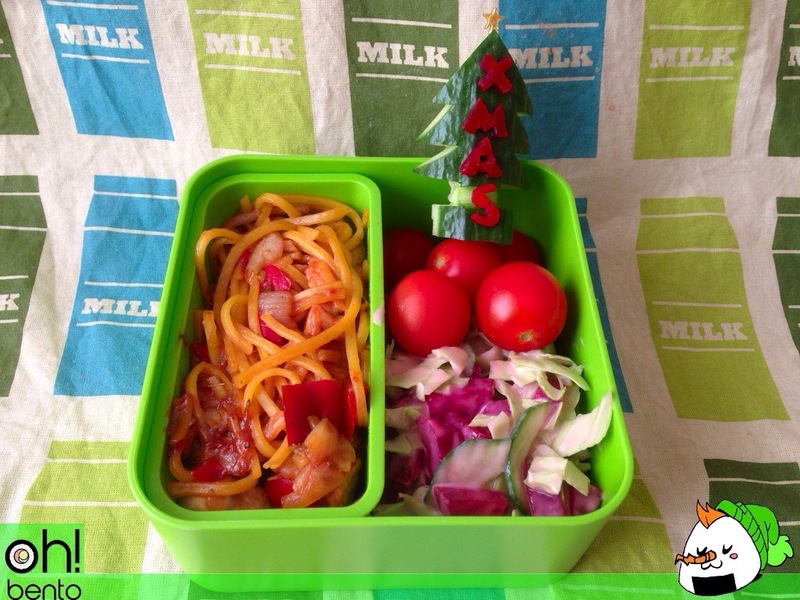 So me and lots of other bento and food bloggers decided its time for another blog hop! As you should all know, today sees the return of Red Dwarf!